Captain Cash is happy in the Stampede City! 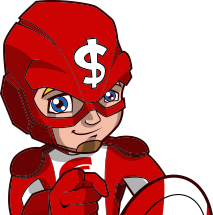 Providing loans to Calgary’s energetic customers and making sure that their level of satisfaction is at the highest possible is at the top of Captain Cash’s priorities. In need of extra cash to spend that great night at the Scotiabank Saddledome or to treat yourself at the Market Mall ? You can always count on our efficient and hassle-free service to get you what you want, when you want it ! I was stunned by how fast the whole process was completed ! Great overall experience ! Thank you Captain Cash ! Our statistics shows that loans are mostly used for shopping in Calgary, especially before Christmas time! Known as the Stampede City and to be of one the sunniest cities in Canada, Calgary is the place to enjoy great outdoor activities, as well as a fabulous time visiting museums or dining out. The quality of life you can find here is absolutely incredible! Recent reports show the demand for cash loans and payday loans are on the rise. In fact, almost half of the nation’s citizens who have substantial savings to draw from say they’d rather use this option or one of the other alternatives than drain their nest eggs for unexpected outlays. 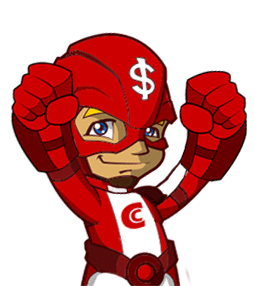 For those falling into this large and growing category, Captain Cash is here to save the day with loans designed to meet the financial needs of Calgary residents no matter what they may be. What Does Calgary Use Cash Loans for? Fort Calgary, Lougheed House, Studio Bell, Gasoline Alley Museum, and a broad range of other sites take you back into various aspects of Calgary’s history and heritage and even give you a glimpse of its potential future. Fish Creek Provincial Park, the Calgary Zoo, Bow River, and Spruce Meadows all rank highly when it comes to letting the area’s beautiful and breathtaking natural side shine through and giving both locals and visitors a break from everyday life. Walking food tours, the Rocky Mountain Brewery Tour, Monplaisir Delicacies, River Cafe, Charcut Roast House, and Caesar’s Steak House highlight some of the best food and drinks Calgary has to offer, but plenty of other options are available as well. Our loans range from $500 to $750 and are available to do with as you see fit. Whether you’re facing an emergency or just hoping for an extravagant weekend away, we have you covered. Captain Cash is here to accommodate. First of all, you’ll need to click on our “Claim Your Cash” button to begin creating an account. After providing your email and birth date and coming up with a password, you’ll be able to move on to the application phase. We’ll ask for information about your income, employment, bank account, age, and a few other elements of your personal and financial history. Filling out our application should only take about five minutes. If applying on a business day, approval typically goes through in a matter of hours. We can often deposit cash into your account on the same day but, if not, it’ll be there on the following business day. It’s quick, simple, and convenient. We do need to point out we don’t accept certain pension plans, social assistance, disability, child tax, students loans, or self-employment as sources of income. Once your application has been submitted, we determine eligibility and contact you with our decision. If you think you may qualify, create an account and fill out an application to get the process started. How Often Can I Get a Cash Loan? Of the people who choose cash loans in Calgary, the majority take out at least two or three each year with some doing so even more often. Still others turn to this option about once a year or less. In truth, as long as your circumstances don’t change drastically and you pay these loans back as agreed, they’re there anytime you need them and can be applied for as often as necessary. It’s worth mentioning, though, continually keeping a cash loan going isn’t recommended. Since they come with higher interest rates than other options, overusing them could lead to a great deal of extra expense in the long run and, ultimately, generate unnecessary financial hardship. 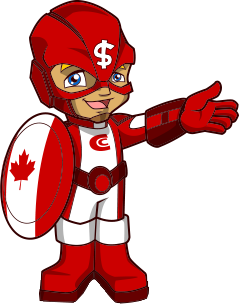 Cash loans in Calgary are great options for those who need a little extra money from time to time. They’re fast, simple, versatile, and available to a wider range of people than many of the other loan products on the market. Small amounts mean there’s less to pay back, and shorter terms than conventional loans mean you won’t have to make payments for several months or years. These loans can be used for virtually any purpose you like. Summer is the perfect time for travel. Though it may be coming to a close here, it’s always warm somewhere in the world. The Christmas season with all its door-buster sales is right around the corner. At the same time, you never can tell when an unexpected expense might crop up. 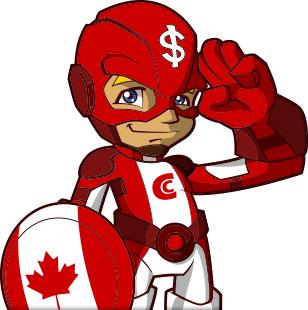 Contact Captain Cash online or by phone at 1(888) 226-1026 to apply for your cash loan in Calgary today. Let us help your next adventure unfold, get you through a financial emergency, or just give you a little extra breathing room once those monthly bills roll around again. We do loan in Calgary and much more. Whenever you are in Edmonton, Wood Buffalo, Medicine Hat, Red Deer... do not hesitate to claim your cash today!